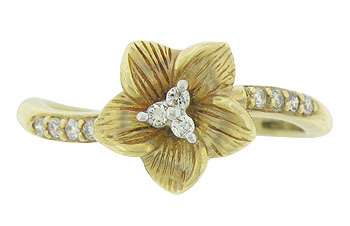 This elegant 14K yellow gold engagement ring is fashioned in the form of a delicate flower. 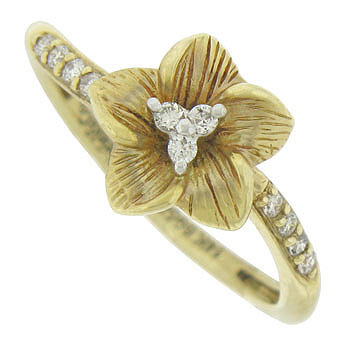 The deeply engraved petals surround a trio of fine faceted diamonds. 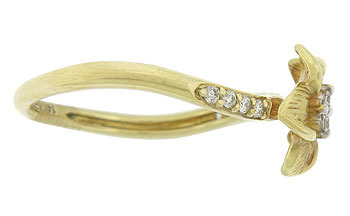 The rings undulating shoulders are deeply set with additional round cut diamonds. 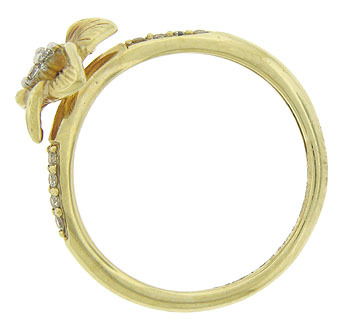 The antique style ring measures 9.78 mm in width. Size 6 1/2. We can re-size.